Fred Callaghan Carpet and Flooring carries a diverse selection porcelain, ceramic, and glass tile, as well as a collection of natural stone styles such as marble, slate, granite, tumbled stone, and travertine. Our wide-ranging styles vary from traditional, to modern, and rustic. Porcelain tile â€“ a product that is manufactured from natural clay â€“ is an ideal material to use for outdoor installations such as patios or walkways. 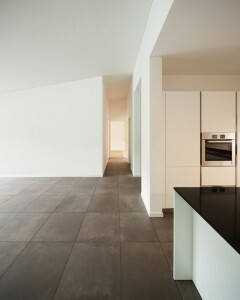 Porcelain is durable, weatherproof, and is available in a variety of textures, colors and sizes. Ceramic tile is also manufactured from clay; however, involves a complex heating and cooling process. Wood look ceramic tile is an elegant product choice for finished basements and sunrooms. It looks and feels like hand scraped wood, yet requires much less maintenance. In addition, wood look ceramic tile flooring is produced in a wide variety of colors and sizes. Stop by our showroom and speak with a sales and installation expert, and browse our selection of products made by leading manufacturers from around the world. At Fred Callaghan Carpet and Flooring, we combine years of expertise with modern technology. In addition, we offer free in-home inspections and measurements.